This year is a big one for Citizen, which celebrates its 25th anniversary as the Official Timekeeper of the U.S. Open Tennis Championships. Additionally, the brand announces a new partnership with tennis legend Billie Jean King and her Leadership Initiative – a non-profit organization that addresses critical social issues. The plan is to present new programs that amplify the messages of equal rights, equal pay and more. Known for making a major difference in the world of gender equality and social justice, as well as in tennis, King was the 2009 recipient of the Presidential Medal of Freedom, and was named one of the “100 Most Important Americans of the 20th Century” by Life Magazine. 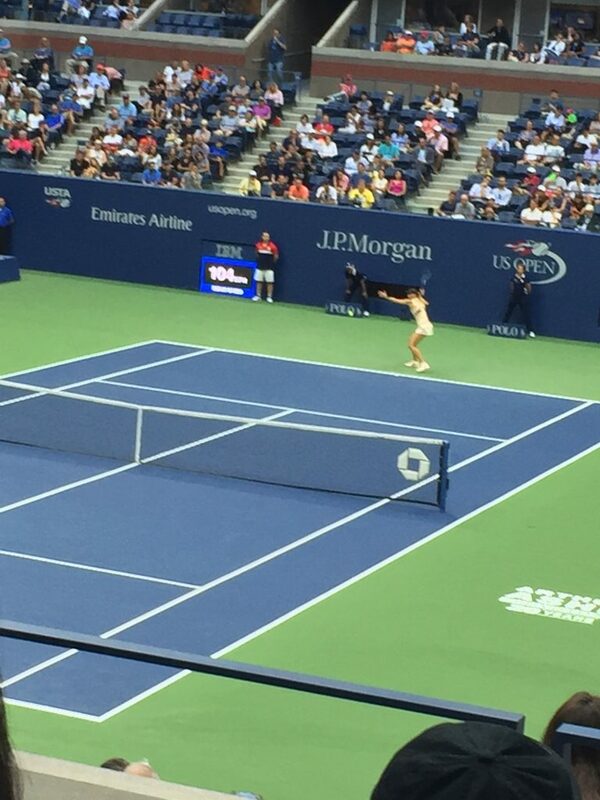 Billie Jean King at the US Open wearing her commemorative Citizen Billie Jean King watch. Now, King is the subject of a new movie being released later this month – the Battle of the Sexes. The movie, which makes its debut in theaters on September 22, highlights King’s win in the match against Bobby Riggs that made King so famous (even though she had a highly illustrious career). That match marks one of the greatest moments in sports history, and was one of the most-watched televised events of all time. King’s win proved women could compete in the then predominantly male-dominated tennis world Citizen is the exclusive timepiece sponsor for the movie, which stars Emma Stone as Billie Jean King and Steve Carell as Bobby Riggs. 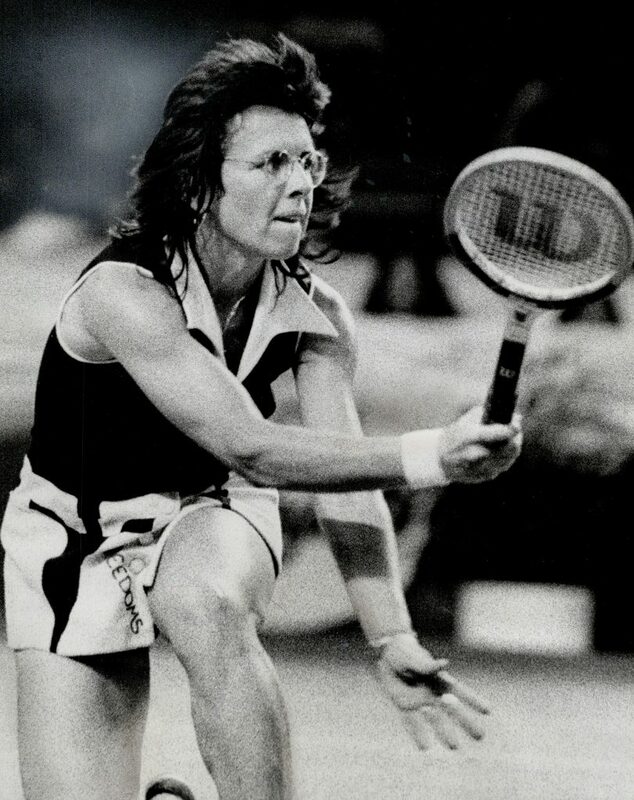 Billie Jean King in the famous match against Bobby Riggs. King, who has never stopped advocating for equal rights, is the founder of the Women’s Tennis Association and the Women’s Sports Foundation, and is a co-founder of World Team Tennis with teams consisting of both men and women. Citizen has been involved with the S.H.E Summit (platform for gender equality), and has implemented the National Merit Scholarship initiative to achieve similar accomplishments in empowering young adults to understand the heritage of equal rights and to become advocacies for such issues. “King’s non-stop initiatives to bring equality and fairness to the world, sports and beyond, mirrors Citizen’s existing efforts to empower and support our younger generations,” says Ellen Seckler, EVP Marketing, Citizen Watch Company. Emma Stone and Steve Carell play Bilie Jean King and Bobby Riggs in the upcoming movie, Battle of the Sexes. 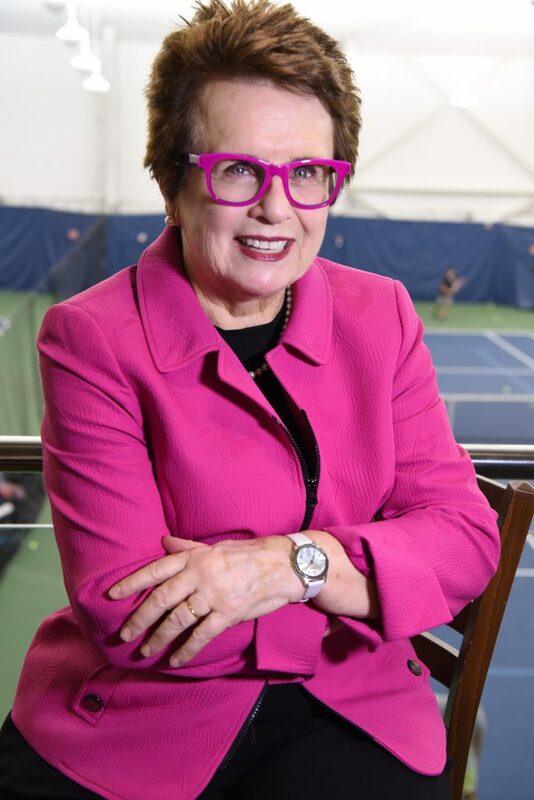 Recently, during the U. S. Open, I had the great fortune not only of visiting the USTA Billie Jean King National Tennis Center for several important matches, but also – and more importantly — I got to meet and talk with Billie Jean King. We will bring that interview to the forefront as we get closer to the premier of the Battle of the Sexes movie in the coming weeks. 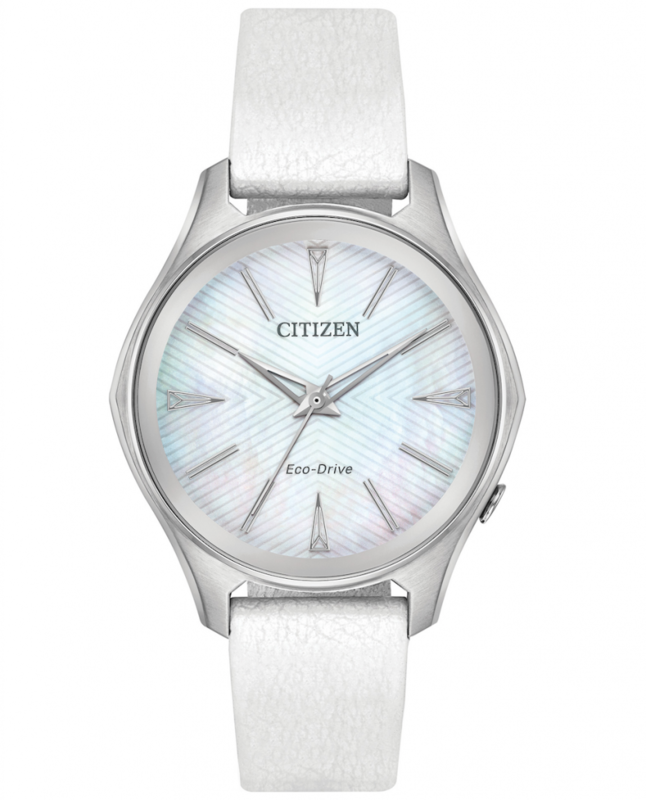 Citizen Billie Jean King Commemorative watch in honor of the legendary woman. In addition to teaming with Billie Jean King’s Leadership Initiative, Citizen Watch also unveils several new watches that honor her and in honor of the brand’s 25th anniversary as the US Open Timekeeper. Both limited edition watches house Citizen’s patented Eco-Drive technology, reinforcing the brand’s dedication to environmentally friendly timepieces with light-powered capabilities. The Billie Jean King Commemorative watch is a 36 mm stainless steel case on a white vegan leather strap. With an elegant mother of pearl dial the watch showcases Billie Jean King’s signature on the caseback. It retails for $225, and the sale of the watch supports the Billie Jean King Leadership Initiative. 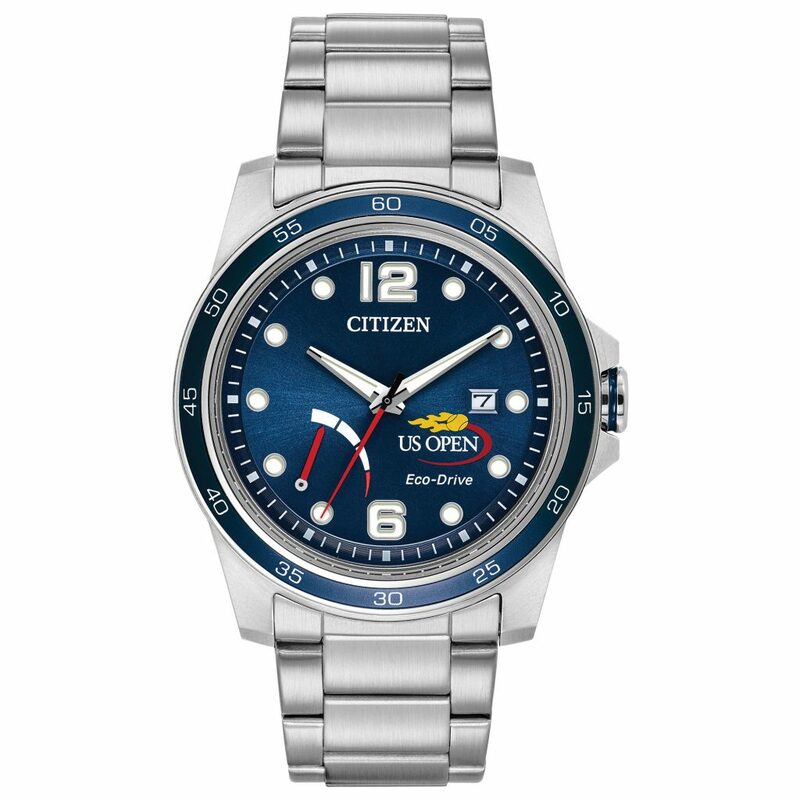 The US Open 25th Anniversary Commemorative watch celebrates Citizen’s 25 years as Official Timekeeper featuers a dark navy blue dial with US Open logo. The steel cased watch reatiles for $250, and just 1,100 pieces will be made. ← How Desperate Are You for an IWC Portugieser Rattrapante?